For 2018, the Ford Mustang gets a significant update. Now it looks like the special-edition Bullitt model will make a comeback, too. Spy photos posted to Mustang6G.com show what appears to be a new Bullitt Mustang apparently shot during commercial filming somewhere in Chicago. Ford declined our request for comment on the photos, but there are good reasons to believe the Bullitt is coming back. The first reason is obvious. The movie Bullitt—where Steve McQueen’s character, Detective Frank Bullitt, drove a Highland Green Mustang GT in a San Francisco scene that invented the modern cinema car chase—celebrates its 50th anniversary in 2018. 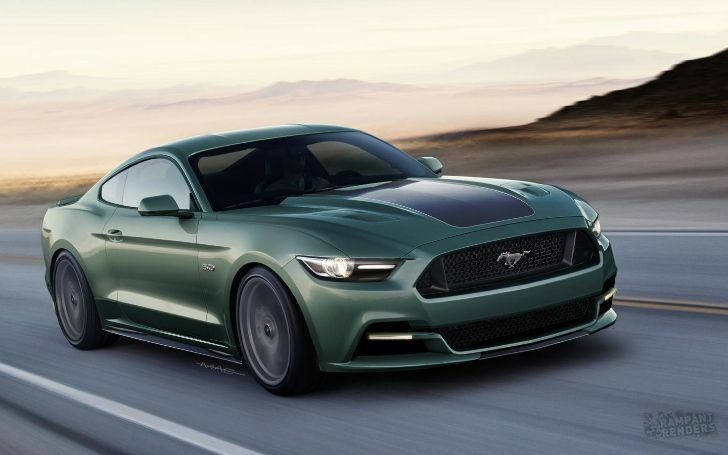 Ford released a Bullitt Mustang for the movie’s 40th anniversary back in 2008, so seeing a new version for 2018 wouldn’t exactly be a shock. The car spied here looks like the car featured in Bullitt—it’s wearing a similar shade of dark green, with black Torq Thrust-style wheels. And check out the badge on the rear decklid—it looks a heck of a lot like the crosshair logo seen on the 2008 Bullitt Mustang (pictured below). Mustang6G.com also has a good piece of evidence in the form of what’s claimed to be a window sticker for a 2018 Bullitt Mustang GT, discovered in October and showing a Highland Green Metallic paint code. In any case, we’re going to watch the chase scene from the original Bullitt. You should too.